Find the Part You Need Fast In Our Masters' Online. Quality is important to you. That's why we carry only the very best products to ensure that you get what you deserve. See what type of difference we can make by choosing us for your commercial & industrial work. Whatever the season, Masters' stocks a complete line of HVAC products from leading brands. Masters' Supply is a partner who knows how to add value, lighten your workload, improve your productivity, and boost your bottom line. Stop by today for a Free Project Assessment. Come see for yourself why we're the best in plumbing supplies. 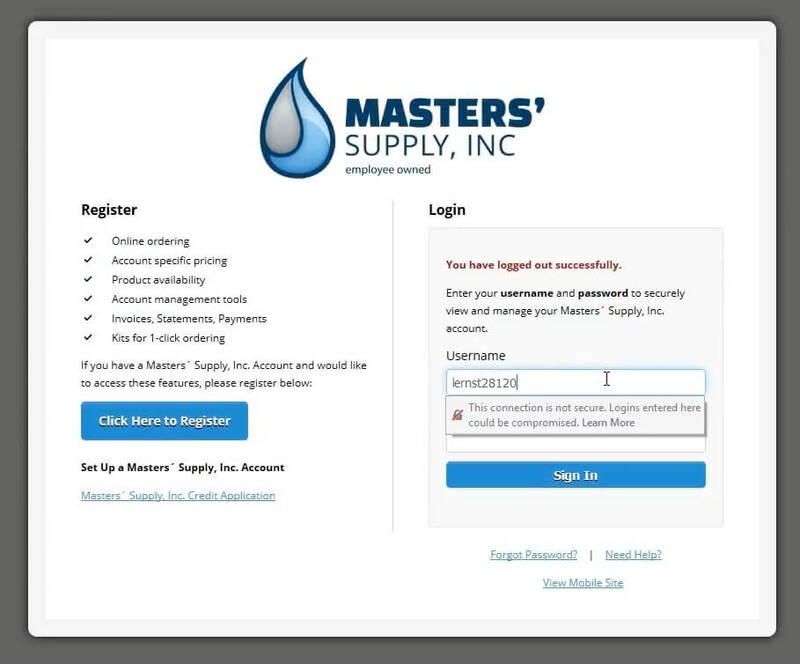 Welcome to the new Masters' Supply webstore! We hope our tutorial will help make utilizing the webstore as easy as possible for all our customers.